Home / Will Artificial Intelligence Be The Next Stage In The Evolution of Creativity? We know that computers have the capability to do human functions such as calculate, analyze, and even perceive, however the realms of creativity seem too out of bounds. Maybe there is something about the creative process that we find mind-boggling even in ourselves. How can the creations of a machine be anything more than that which can be perceived by those who made them? 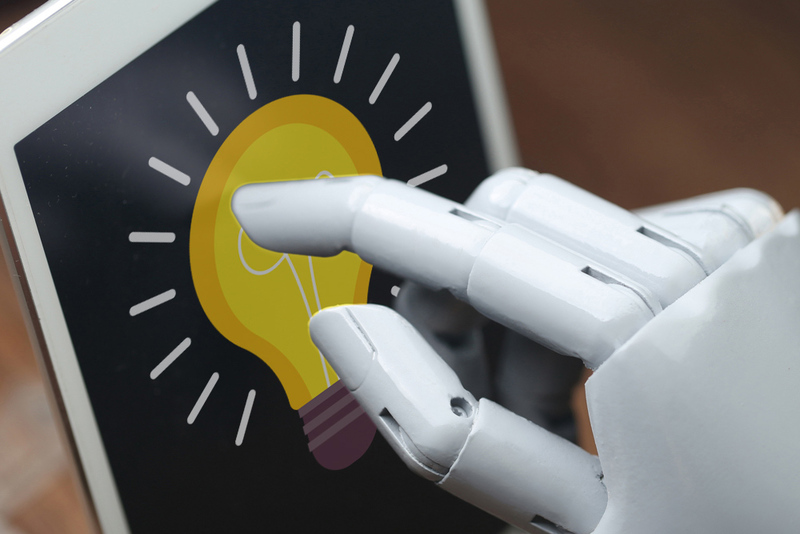 As we move forward to that age of automation, however, AI is beginning to creep in towards creativity’s sacred grounds, from art to industries such as creative solutions services. And though more and more have already been discovered, we are still yet to see more creative machines. Can machines really be creative? Art made by robots is just one of the prime examples of what we call machine creativity. This is a sub-field that is fast growing in popularity which, if we are going to categorize it, falls between the study of artificial intelligence and our own biological psychology. To put things in a wider perspective, a creative machine is an application that arranges inputs to construct new and profound concepts, solutions to very complicated analytical problems, or even highly creative artworks. In a process which is almost the same as that of human artists or scientists, a creative machine starts creating by solving a problem at hand. Afterwards, its software begins to analyze the needed solutions in order to come up with “answers” which appear in the form of patterns of “art”. The current boom of artificial creativity is made possible by the quick evolution AI technology as well as the abundance of data generated thanks to faster processors and the amount of algorithms available. As AI improves, expect to see works ranging from simple designs to masterpieces. Soon creative machines will transform the world of art as we know it. One of the most unsettling things connected with machine creativity is their ability to create artworks while we, the creators ourselves do not understand our own creativity. Nowadays, the popularity of machine creativity shows us once again that an understanding of biological processes is not that important in order to copy the creative process using technology. What is needed though is an architecture and software which can process data in order for it to paint, write, analyze, or express originality. Sooner or later we should be ready to see more progress in terms of art created by machines. Since the middle of the past century, we have seen how artificial intelligence has taken over different fields that involve human function. When creative software becomes as accessible as the analytical tools we use today, humans will not be the only entity capable of creativity. To make the most of this, rather than “AI-proofing” creative fields, man must instead learn how to work with such developments. We must always keep in mind that as humans we possess skills which will remain relevant no matter if there are advancements in the field of artificial intelligence. No matter how digitized a company is, shouldn’t we wonder why companies still look for good staff, motivate employees and grow their number? Customers have to trust a company, and trust is built over good customer experience and reliable customer services, both of which can only be delivered by us, humans. Also, here comes our power to discern. Our innate ability to ponder and search for purpose and probe on uncharted ideas and territories, the very reason AI is born. We build relationships; we naturally search for interactions and engagements as we come up with solutions. The same solutions we feed to machines to assist us attain the projected end result. If AI is the product of human discernment, one could only imagine what other things humans are capable of in the future.